Arneson & Son’shas been offering its services in Southern California for more than 27 years now. In all this while, we have had the great pleasure of serving home owners, small businesses and builders alike. Known for honest and fast plumbing services, we have been able to carve a niche for ourselves in the plumbing industry successfully. Whether you are looking for residential or commercial plumbing services, Arneson & Son’s is here to help. We are available 24/7 for your emergency service needs. So be it the faucet which needs a repair or a leak that has to mended, we are just a call away. Family operated and owned, Arneson & Son’s can offer you low cost plumbing service. 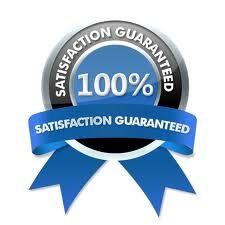 We do not charge any hidden prices on our quotes and always have a flat fee for every task assigned. We also offer payment plans on larger jobs so you always have the ability to pay us in overtime if you cannot afford the whole amount at one time. It is important that you choose a reliable provider for plumbing in your home or office and Arneson & Son’s is definitely the right company. We are experts in what we do so you should get in touch with us for an instant quote on your plumbing needs. We offer our services in Corona, Hemet, Homeland, Lake Elsinore, Wildomar, Menifee, Moreno Valley, Perris, Murrieta, Temecula, Winchester, Sun City, San Jacinto, Riverside, Norco, Fallbrook, Vista, Camp, Pendleton, Carlsbad, Escondido, Encinitas, San Marcos, Valley Center, Rancho Bernardo, Rancho, Penasquitos, Poway, Rancho Santa Fe, Black Mountain Ranch, Oceanside, San Clemente, San Juan Capistrano, Dana Point, Laguna Niguel, Laguna Beach, Aliso Viejo, El Toro, Foothill Ranch, Laddera Ranch, Lake Forest, Mission Viejo, Newport Beach, Newport Coast, Rancho Santa Margarita, Yorba Linda, Trabuco Canyon.